Fast food chains are really into donuts these days. McDonald's recently introduced donut sticks and Burger King launched a similar fried desert, seemingly in response to the arrival of Dunkin's donut fries. Now, Taco Bell appears to be throwing its hat into the sugary dough ring with an all-new menu item: donuts. On Thursday, the Crunchwrap purveyor announced it's adding all-new $1 Churro Donuts to its breakfast menu as part of a limited-time test run. 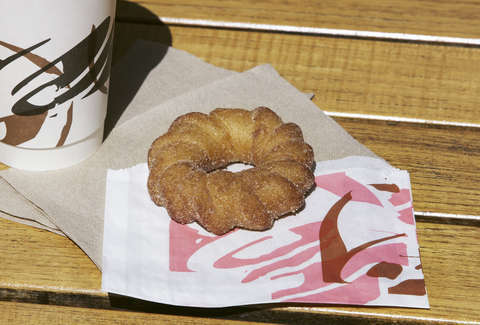 T-Bell said the new donuts are "everything you know and love about a churro in the shape of a donut." More specifically, they take a circular churro, deep fry it until it's golden brown and crispy, and finish it with a dusting of cinnamon sugar, according to a press release. They're available for $1 each during breakfast hours at Taco Bell locations in Kansas City, Missouri for now, but there's a chance they'll eventually roll out nationwide. Now, does taking a churro and bending it into a circle make it a donut? That's debatable. But it's probably safe to think of it as a churro-donut hybrid or a churro-donut mashup. Hell, if you're really feeling weird, by all means call them chonuts. The most important thing here is how these things taste, which as of now, remains to be seen. Kanas City will be the judge of that. If you're not in Kansas City, though, don't despair at a lack of new pseudo-Mexican food. 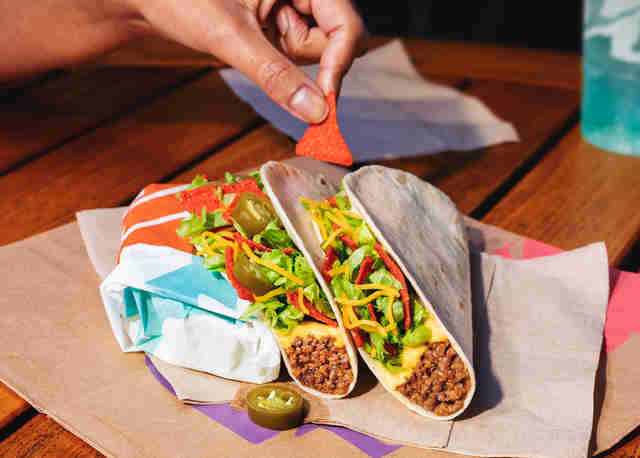 In addition to announcing the Churro Donut test run, Taco Bell also announced the launch of $1 Loaded Nacho Tacos, which are now available nationwide as part of the chain's ever-expanding value menu. The tacos are made with a tortilla that's filled with seasoned beef, nacho cheese sauce, lettuce, cheddar cheese, and new Southwest Seasoned Chips, new red tortilla chips seasoned with lime, tomato, and garlic. You can also order a spicy version of the taco, which comes with jalapeños on top. 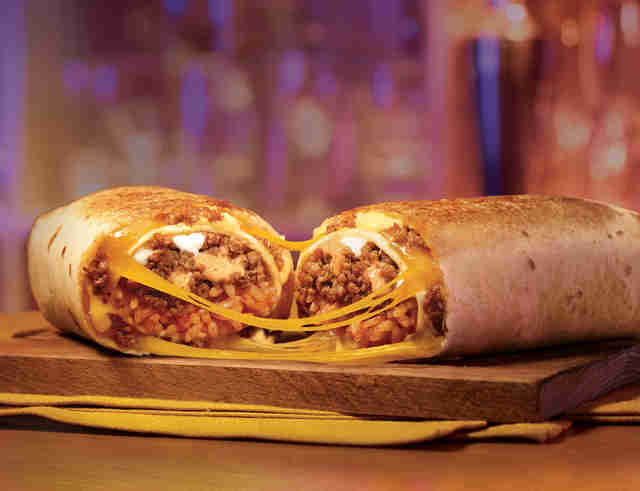 Meanwhile, Taco Bell is also testing what's dubbed the Double Beef Quesarito at locations in Charlotte, North Carolina. Just as the name suggests, the hefty meat bomb sports a double portion of the 'Bell's seasoned ground beef. How? They fill a burrito with beef, seasoned rice, cheddar cheese, sour cream, and chipotle sauce, then wrap the whole damn thing in a seasoned beef quesadilla. Just like the Double Chalupa and the Triple Double Crunchwrap that came before it, this thing is a beast, so definitely grab a few extra Fire Sauce packets. For one, you'll need more sauce to complement more Quesarito, and on top of that, doing so may just save your life.